The electrically-powered pivot system allows the bale to be tilted seamlessly and safely, while the work environment stays clean. 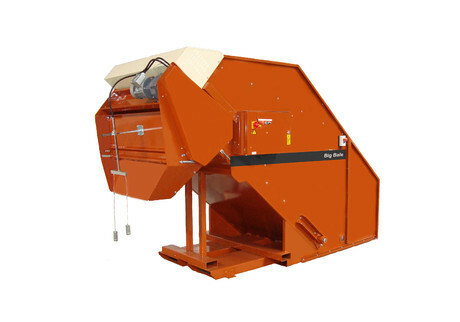 The Javo Big Bale is easy to use and maintenance-free. The machine is also easy to move with a forklift or with the optional wheels. The feed chain scrapes the soil loose from the big bale and feeds it to an adjustable fluffing mechanism to bring the substrate to the desired consistency. A level regulator with three adjustable measuring points is fitted under the discharge outlet to controls the supply of soil.